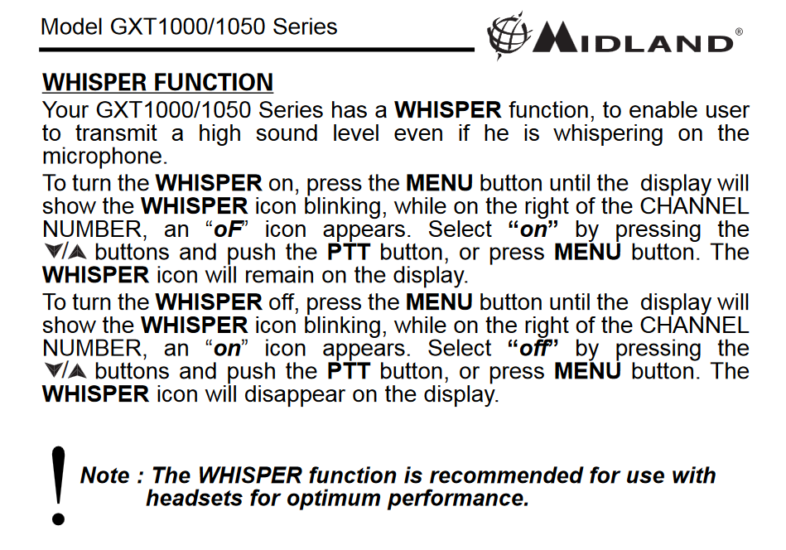 If you have a Midland GXT 1000/1030/1050 two way radio and one of the radios is not transmitting, check that WI (Whisper Mode) is not ON. 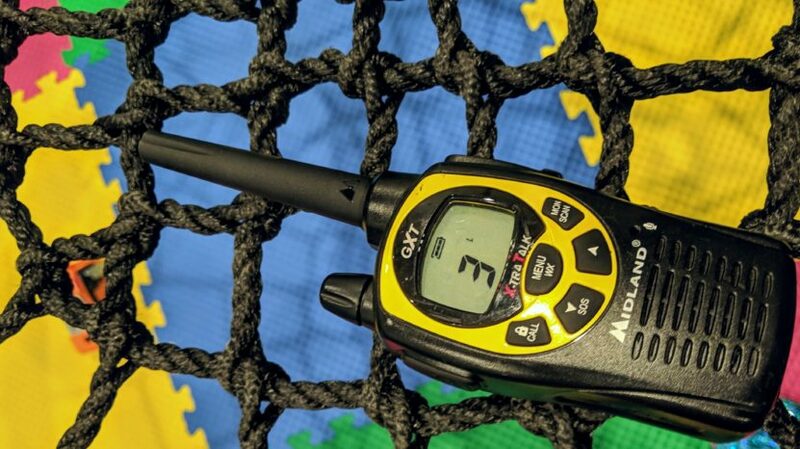 NOTE: if you do not see the “WI” indicator on either radio, then this tip will not be applicable to your situation. Sorry!